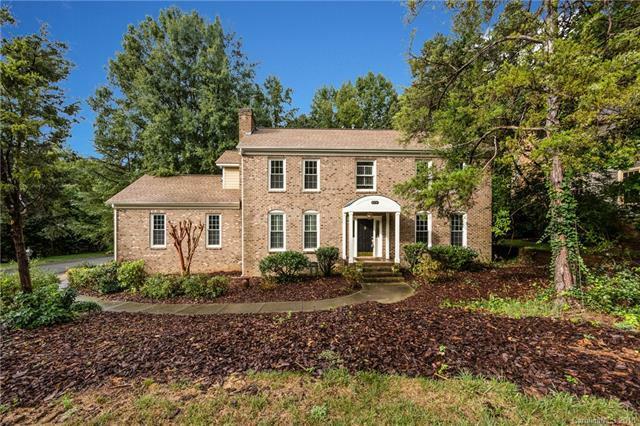 This FULL BRICK BEAUTIFUL Home sits on a quiet cul-de-sac wooded, corner lot just an easy stroll to Elizabeth Lane Elementary School. Entire home has been freshly painted a soft neutral color and the stunning hardwood floors fully refinished only a couple of days before home is active on the market. Great floor plan with large rooms throughout. Formal Living and Dining room. Family room showcases a cozy gas fireplace and built in bookcase. Granite and Tile in the Kitchen with a wonderful Bar/Butlers Pantry. Upstairs you will see one the most beautifully remodeled Master Bathrooms ever will heated floors! Wood floors in Master Bedroom and a large walk in closet. 2 more large bedrooms upstairs. The Screened Back Porch is perfect for enjoying a morning cup of joe or evening cocktail as there is so much privacy from wooded backyard.